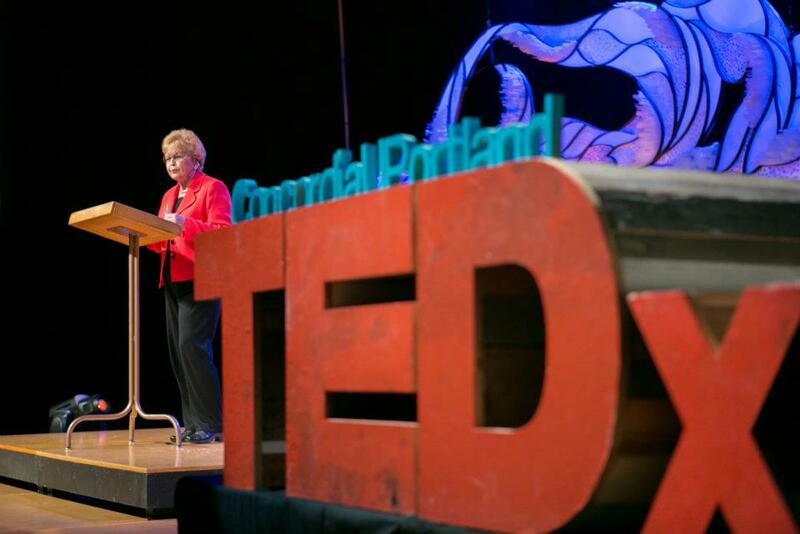 TEDxConcordiaUPortland is an independently organized and licensed offshoot of TED, you know, the huge speaking event with “ideas worth spreading”. The event where they provide a way for us to hear great ideas from thinkers who have an idea that is changing the world. The one where amazing individuals are giving an 18-minute or less “talk of a lifetime”. As people began filing out of the auditorium after Saturday’s final talk, the fluorescent house lights went up. Crystal Schenk’s art installation, colorfully illuminated from the stage throughout the day, instantly lost some of its magnetic magic; the illusion of the aurora borealis had become a memory. Maybe it’s just me, but since Saturday I’ve been trying to hold on to such memories. My thoughts have been awesomely overrun with the forceful pull of all of the day’s radiant ideas. Snippets of talks recur, ideas new and exciting turn over and over again in my mind, and despite the many times that we were urged to be present, a part of me wants to live in the (recent) past. 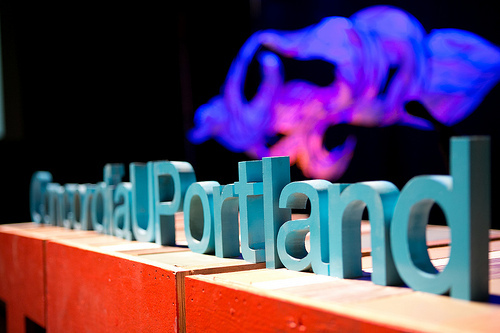 TEDxConcordiaUPortland’s 640 attendees will remember how things kicked off with Anis Mojgani’s spoken word performance. Positive and ethereal—we are all a noble combination of science and magic—his poem resonated with the celestial stage backdrop and solidified the tone for the day. But the event was something more than just these flashes we can recall days later. It was the sum of its parts. When you think back upon the day, you might remember stray quotes from talks, or a melody from one of the incredible performances. But what arises most clearly is the feeling. The feeling of being wholly absorbed in an idea; of delighting in seeing where a speaker would lead us and what ideas they’d share; of discovering where they’d end up and why. Most importantly, you may remember the feeling of connection. 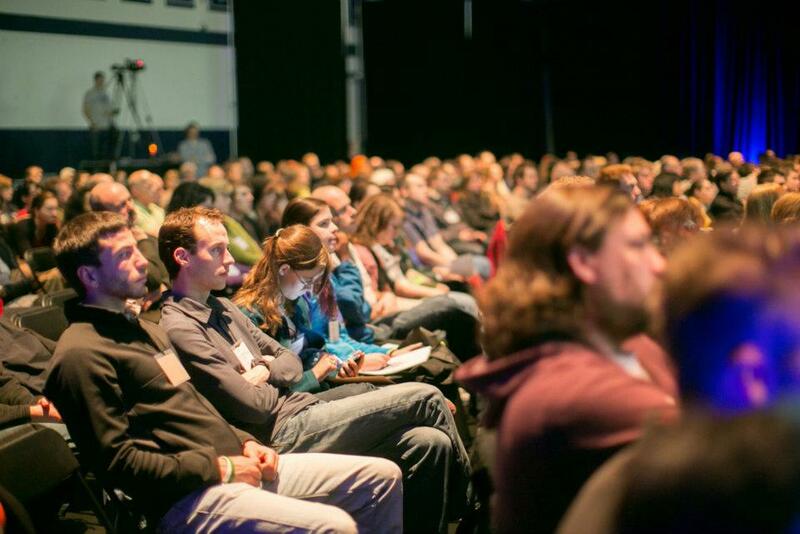 Of quietly breathing next to someone or holding their hand during a talk; of knowing that people in the room are thinking almost the exact same thing you are thinking; of finding other open minds who are similarly open to learning about new ideas. So now for the challenge: Resist the urge to think of this day as only a memory. Use the thoughts and ideas and inspiration and connections you were a part of, and do something with them. Take them out into the world. We all can’t wait to see what happens. Sean Wheaton is a teacher and writer who lives in Portland, OR. He’s a lover of ideas both big and small, and he is thrilled to be a part of this year’s TEDxConcordiaUPortland planning team. 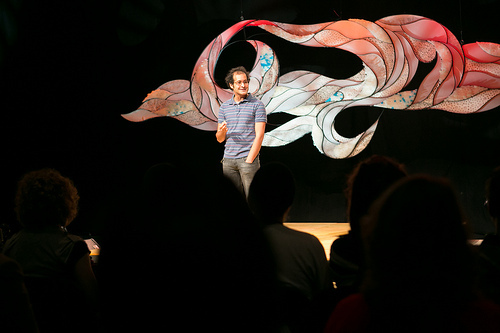 He’s one of several storytellers who are sharing write-ups, interviews, and perspectives on the many extraordinary people from our surrounding community.